Call PC Fixer for Manhattan Beach laptop repair, and you'll be back in business sooner. Why wait to get your computer fixed? Bring it in to PC Fixer right now and get your laptop repaired right away! Computer downtime is always an emergency. It costs you money, time and inconvenience to be without your laptop, even for one day, so we always make every effort to fix your computer as quickly as possible. If you need a Manhattan Beach laptop repair, PC Fixer is the computer repair shop you can trust. PC Fixer offers a wide variety of affordable in-shop, in-home, and on-site computer repair services. We're the Los Angeles area's most experienced and trusted source for repairs, upgrades, troubleshooting, software repair, data recovery, virus and spyware removal, and operating system (OS) upgrades and re-installation on laptops. We also work on Windows laptops in-house, including DC jack repair, replacement of AC adapters and powers cords, laptop screen repair and replacement, keyboard repair and replacement, and motherboard repair and replacement. No computer is too damaged, too old or too infected for PC Fixer, and in the rare event that it's a better value for you to upgrade to a new laptop, we'll help you make the best choice. Whether you need help at home or require our business computer service, PC Fixer will be there. If you'd prefer to drop off your laptop, that's alright too. We're located in West Los Angeles, so finding us is easy. 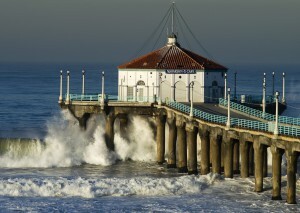 With more than eight years of serving Manhattan Beach under our belts, problem solving comes easy to us. We use our extra energy in the customer service department. You'll always feel at ease with PC Fixer, because we know your laptop repair is stress enough for one day. We'll take the pressure off, and have you up and running sooner than anyone else.